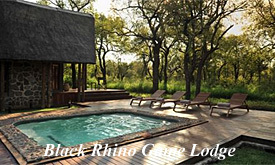 PRICES Start from R 32,300.00 per person for the 9 nights. 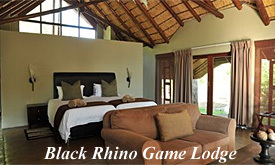 Private transfer to Black Rhino Game Lodge in Pilanesberg National Park for 2 nights including all meals and 2 safari drives daily. 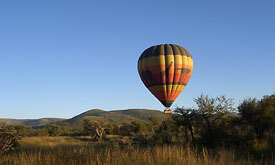 Early morning wake up call for your last game drive. Return to the lodge for breakfast before check out and departure on a short transfer to Sun City. 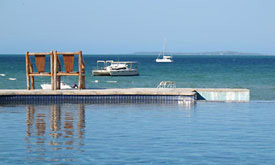 You will stay for an extra 2 nights at the Sun City Cascades Hotel on a Luxury twin room, bed & breakfast basis. 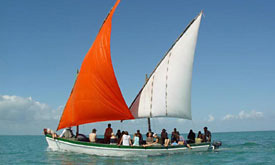 Upon arrival you are met and transferred to Rio Azul Beach Lodge for 5 nights, full board and selected activities and Local Brand beverages.